Summary: Our main goal was to achieve manned flight at an altitude above 10 km. Although it was not pretty, we got there and got our Kerbal home safe. Our flight path was not ideal and a big safety concern moving forward will be the stability of our craft and the experience needed by our team members to correctly respond to similar situations. Opportunities / Learnings: Stability is key, and manual controls are not reliable. You need to know what the rocket is going to do before it launches and how you should react to every possible situation. Strategies / Project Timeline: We definitely need to redesign our rocket to achieve the next milestone. In the near future, we will be conducting many test missions to try out new designs and staging in order to find a sound rocket that can take us to the next milestone. You may add $30K in awards to your fund totals. 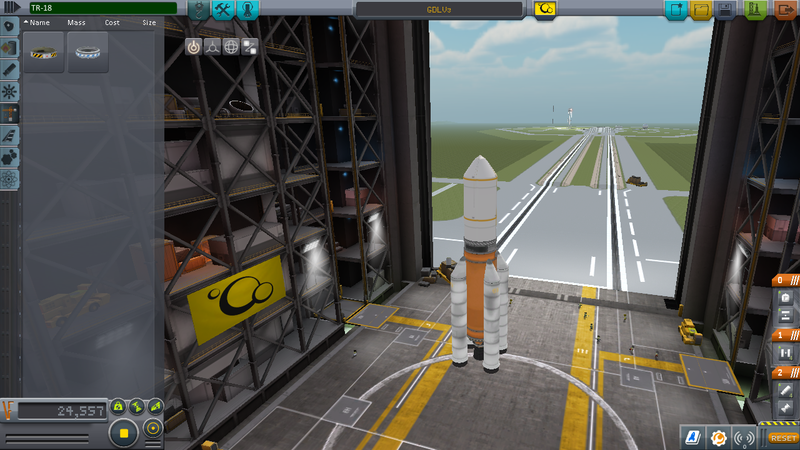 Design Goals: We made a cheap rocket to reach 50km of manned flight. 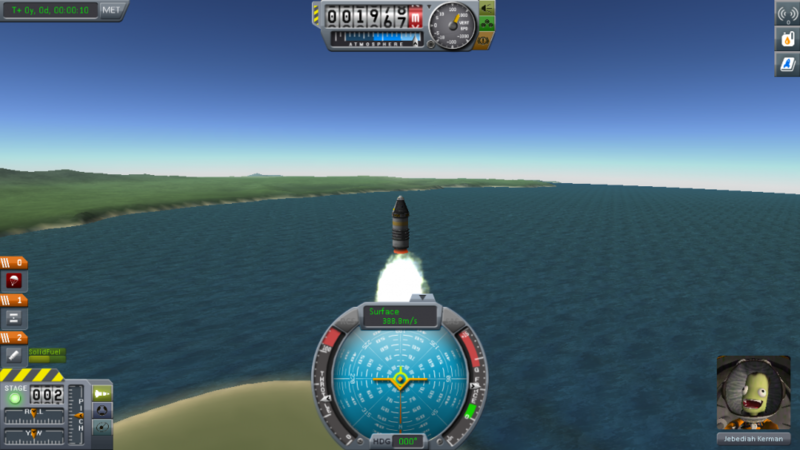 We used a very simple design that will end with the cockpit and parachute splashing down as the only remaining body of the rocket. Launch Goal: We are hoping to maintain stable flight and a safe ride for our crew and to achieve manned flight at over 50 km. 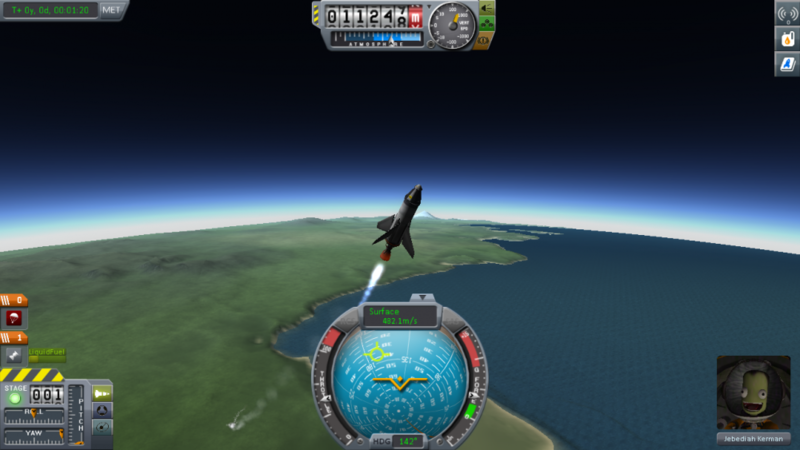 Pilot Plan: Eject engine from fuselage when it is out of fuel, and pilot the craft back down to earth after 50km has been reached. Booster ran out of fuel, detatched from pod. 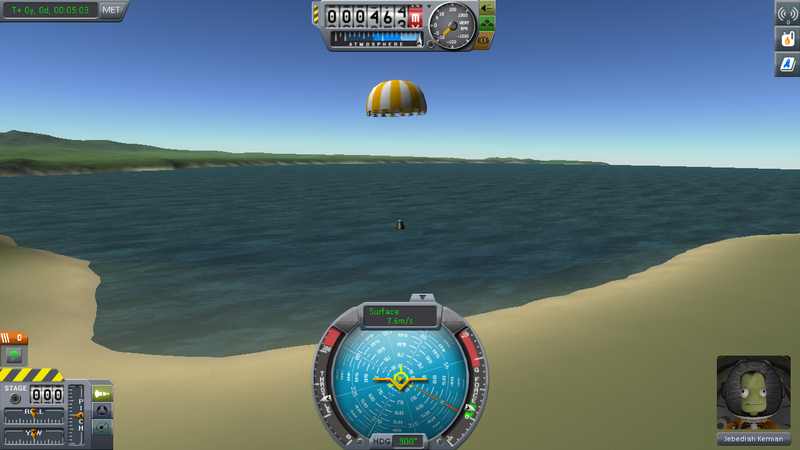 After reaching max altitude, the pod started descending with parachute pointing down. 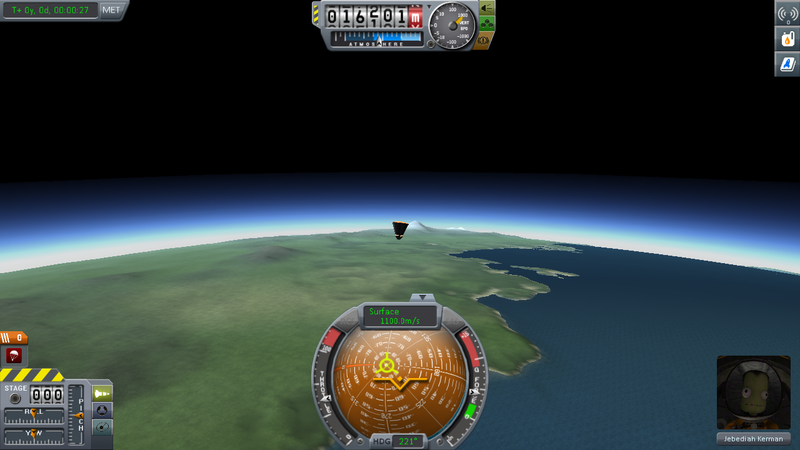 In order to deploy parachute, the pod was turned 180 degrees, so the parachute was at the top of the vessel and able to deploy. Summary: Although the rocket was very simple, we met many public and personal milestones during this mission. 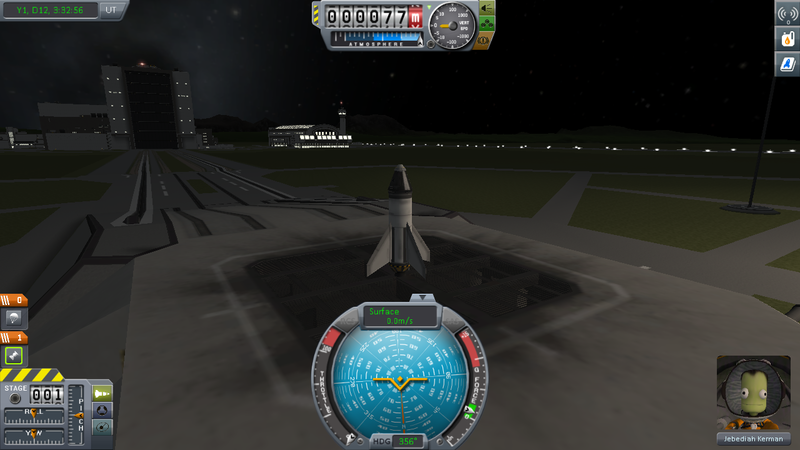 Along with the 50 km milestone, this was the first successful mission in which we used a decoupler to detach the spent rocket to allow for a more efficient flight and safer landing. Also, this flight was a lot smoother control- wise, as there was a little tumbling on the way back down but it was at a slow rate and for a very short period of time. Other than that, it was a very smooth flight and all goals were met/ exceeded. Opportunities / Learnings: We gained a lot of confidence at the controls of the craft and built up some more basic skills with staging design and the use of larger rockets. Strategies / Project Timeline: For the next milestone, we will need more research as we have yet to reach orbit in a previous mission. we need to find what kind of power we need to get up there and also the resources required to get us out of orbit. Also, we could branch our strategy away from manned missions and work to place a satellite in orbit while we are still working on the "getting out" part of orbit. Design Goals: We used multiple stages to make the most efficient rocket possible to achieve stable orbit. Launch Goal: We are hoping to demonstrate our ability to launch a manned rocket into orbit and safely return it. 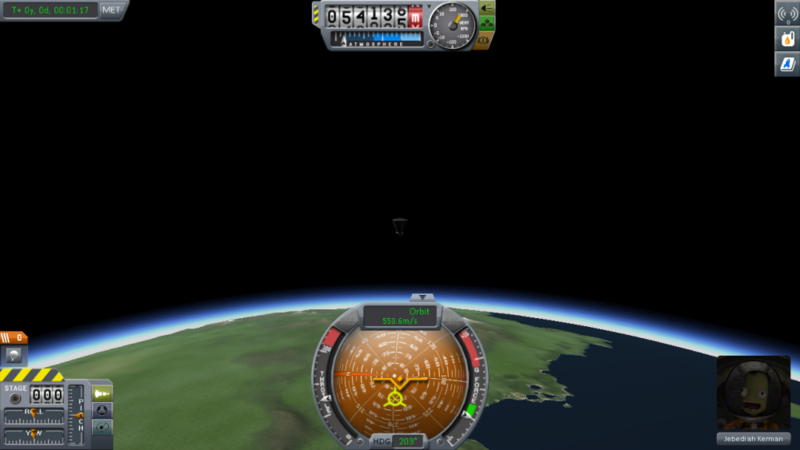 At 30 seconds before apoapsis, reignite engine and climb into orbit. Burn engine to slow velocity and direct path of orbit into earth. 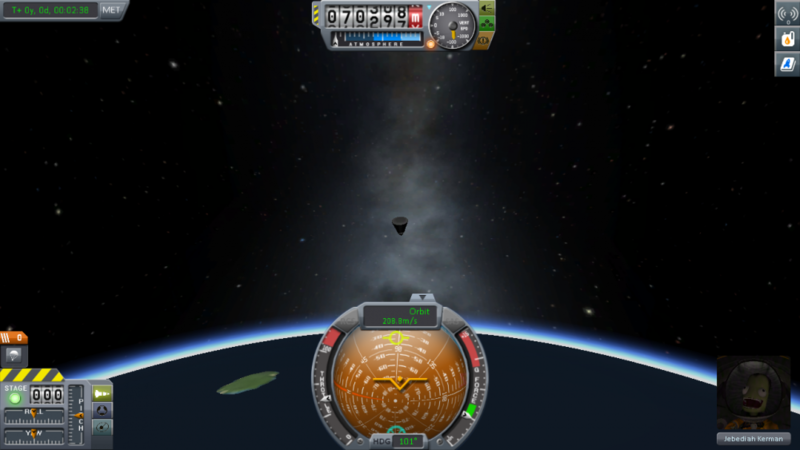 Enter atmosphere leading with capsule heat shield. How about the plan for exiting orbit and returning? Might be important... at least to the Kerbal! Summary: Stable orbit was achieved, and enough fuel was conserved to safely re-enter the atmosphere and make a safe return back to earth. Opportunities / Learnings: We found a good routine and set of maneuvers that we can use to enter orbit. 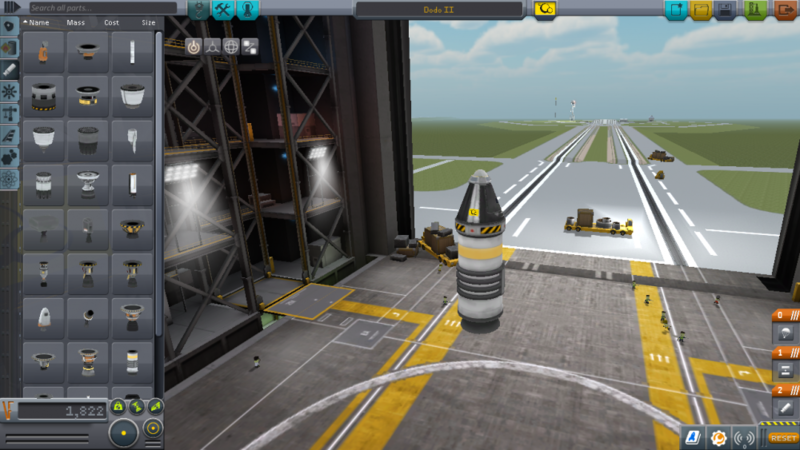 Also with our rocket design, we can add other components to help complete other milestones. Strategies / Project Timeline: Next we want to conduct a Kerbal EVA and start exploring the possibilities of a Munar Landing. Design Goals: Our vehicle is designed to achieve stable orbit around Kerbin and serve as a refueling station for vehicles heading to Mun and other parts of space. Launch Goal: We are hoping to achieve the milestone of unmanned satellite in orbit and demonstrate our ability to dock ships to refuel. Enter orbit and stay with prograde marker. 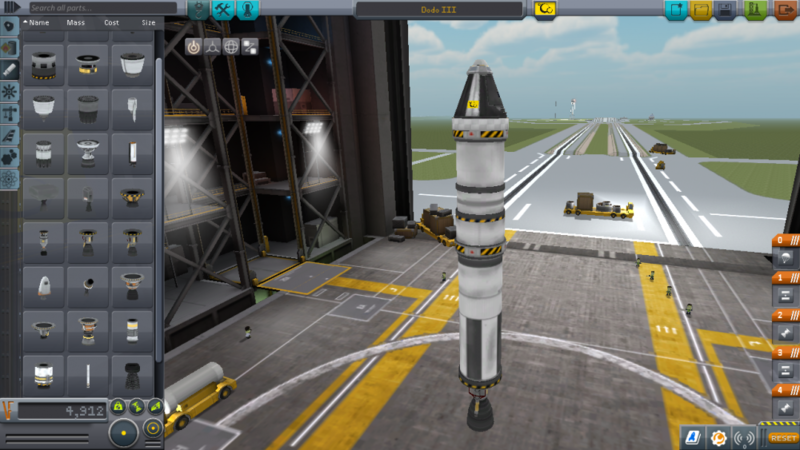 Separate tank from rocket when it is in orbit. What is your desired orbital radius? Good luck!